Amelia, an early career psychologist, earned her Doctorate in Clinical Psychology in 2014 from Forest Institute of Professional Psychology. She is employed as a Clinical Neuropsychologist at Rowe Neurology Institute, an integrated medical and research clinic. Amelia works with the medical/clinical team to provide consults as well as neuropsychological assessments for patients with Alzheimer’s disease, Dementia, Traumatic Brain Injury, Multiple Sclerosis, and other medical problems resulting in the need for neurological interventions. Amelia works with the research team to provide consults and assessments for clinical trials run by Consultants in Neurology, the research division of RNI. Additionally, she consults with outside medical and bariatric practices to provide medical-behavioral assessments and pre-surgical assessments as needed. Outside of work, Amelia spends time volunteering for an online mental health support community. When not working or volunteering, she enjoys spending time with her dog as well as exercising, going out with friends, and visiting family. A few weeks ago, I wrote an article discussing the problems with obtaining mental health care without insurance. One of the suggestions I included was using an online community, such as 7 Cups of Tea, for additional support when needed. While this site has become fairly well known, I know many people who still are not aware of it or who do not know what an amazing resource it can be. 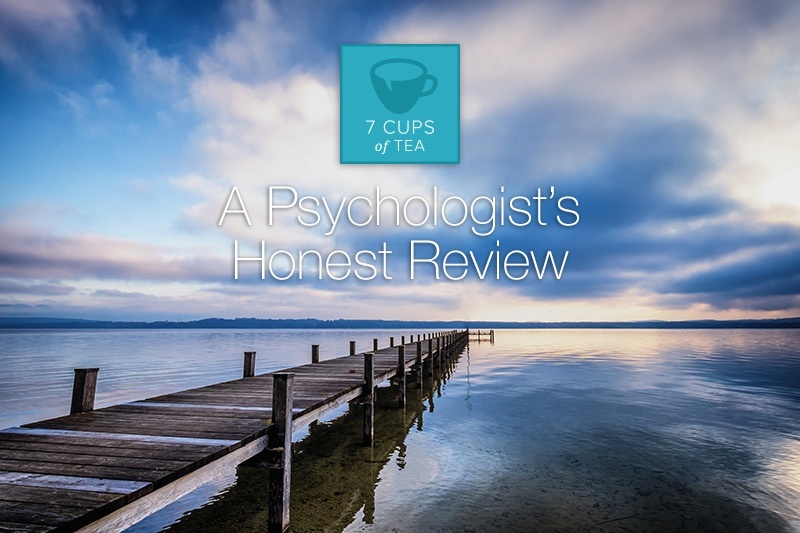 The goal of this blog article, therefore, is to introduce readers to 7 Cups of Tea as well as provide an inside view of the site from a psychologist’s perspective. As a child, my family did not have a lot of money. In fact, we regularly struggled. I know there were periods of time that we went without health insurance. While we had some major medical problems during that time (we sought care at the University Hospital), we were, for the most part, mentally and physically healthy. I did, however, have some friends who were not able to seek mental health treatment due to not having health insurance. Sure, they could go to the hospital, but routine care was not in the cards. In the state where I lived, only pregnant women and children were eligible for state Medicaid—regardless of income.